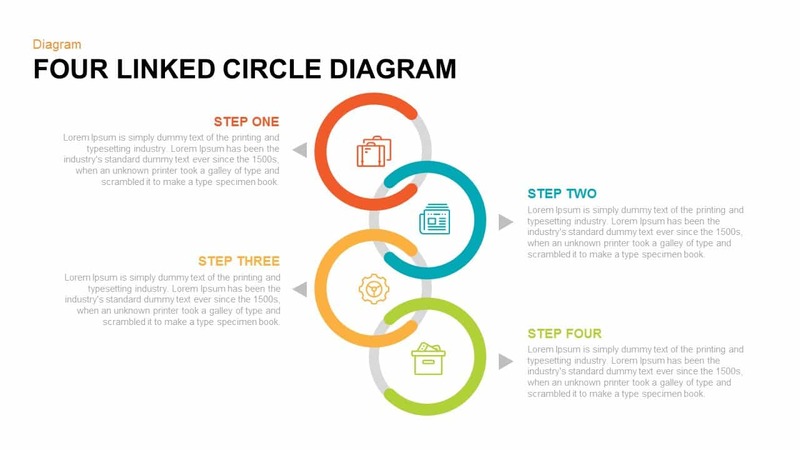 Four linked circle diagram PowerPoint template and keynote is a connection diagram for logical presentation. 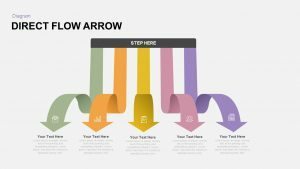 The vertical circle diagram is a non-conventional circle ppt template linked in a zigzag manner. Each ring is semi-colored feels attractive and innovative. 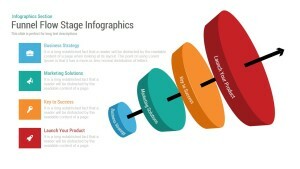 The creative design for PowerPoint presentation is perfect for presenting linked steps in business development. So, it will reveal the logical sequences of development and growth. 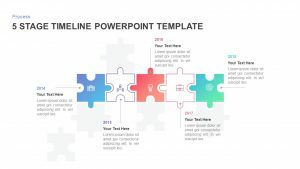 This step-by-step ring diagram for modern PowerPoint presentation is suitable for illustrating the overlapping items. Hence, turn this diagram as a Venn diagram PowerPoint for sophisticated PowerPoint presentation. 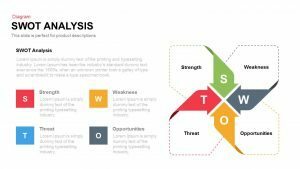 The vertical Venn diagram for PowerPoint presentation can be used to portray elements as points in the plane, and sets as regions inside closed curves. The four looping circles show the overlapping of the elements. This special diagram shows all possible logical relations between finite collections of different sets. 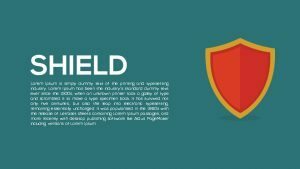 The flat vector design is created for professional presentation designed with four circles built using PowerPoint objects. This is an infinite circle diagram perfect for representing interrelationship of the elements. 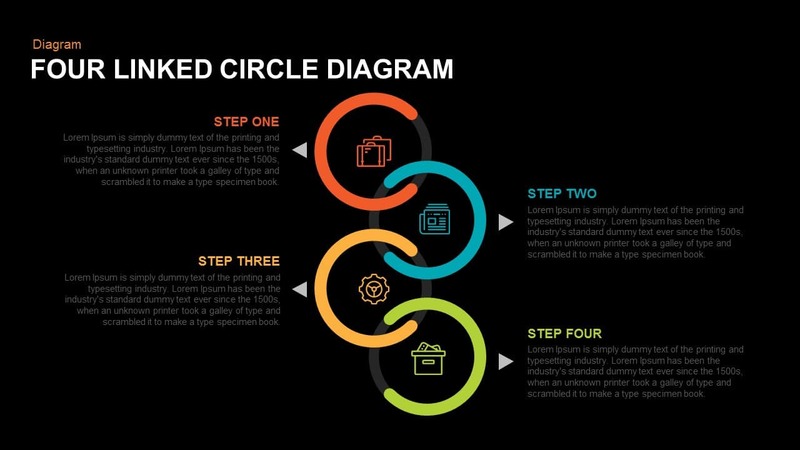 Impress any professional audience with the four connected circle diagram PowerPoint template. 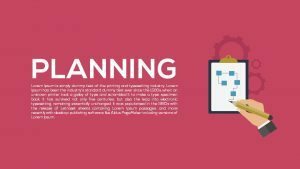 This impactful PowerPoint graphics to structure the concepts of your presentation while maintaining a convenient atmosphere. The self-explanatory PowerPoint slide allows the viewers to raise questions when necessary. 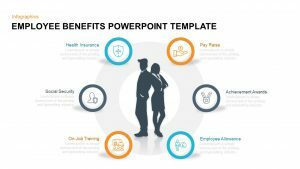 The four circle PowerPoint for general presentation is suitable to display the mutual dependence of the elements. Hence, research scholars and mathematical professionals can download four connected circles diagram for their highly-technical presentation. 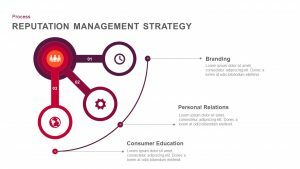 However, the design is perfect for multi-step processes as well. The importance of team combination and cooperation can be highlighted using the four linked circle template. 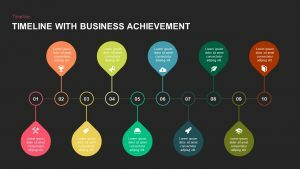 The featured diagram is useful in showing a succession of four steps in a particular business procedure. 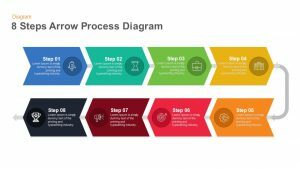 By displaying these stages, the flow of the process can be analyzed and streamlined to improve efficiency and reduce costs. 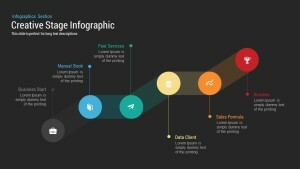 Chronology of business development can be projected using timeline ppt template. You can access more Circle Diagram Templates here Grab the free ppt now!